People today are quite divided when it comes to books. Some like the more modern approach, preferring a Kindle because of its accessibility, lightweight-edness, and cheaper prices for books. Meanwhile, others understandably cannot trade the experience of an actual book, with the turning of pages and that book smell for something digital. But there is also a third, less explored option – audiobooks. Few actually prefer this option over the previous two, and for very understandable reasons. Of course, the sight impaired have no other options, but most complain that they can’t pay attention to the story or that they simply prefer reading to listening. I can totally get why people don’t like listening to books. If you don’t have a particularly good attention span, if you can’t multitask all that well, or if you just get easily distracted, you risk missing out on an important part of the book, and you have to skip back, something that can be daunting without the proper apps. But if you are an avid consumer, audiobooks are definitely the way to go. You can’t really read a book whenever you feel like it. If you have to walk somewhere, if the train or bus is crowded, or if you don’t want to risk dropping your new book into the bathtub, you’re forced to delay your reading until a later time. However, with audiobooks you can pretty much constantly listen to your stories. You can go for a relaxing walk in the park and keep listening to your characters’ adventures. You can simply relax in a hot bath and let the sound drone on. Or you can even listen to it while you work, if your job doesn’t require you paying too much attention to what you’re doing. One of the leading audiobook providers on the market is undoubtedly Audible. The company provides a huge range of genres, and is has the biggest collection of audiobooks in the world, all of them read by professionals. You can find pretty much any book you want on the company’s website. 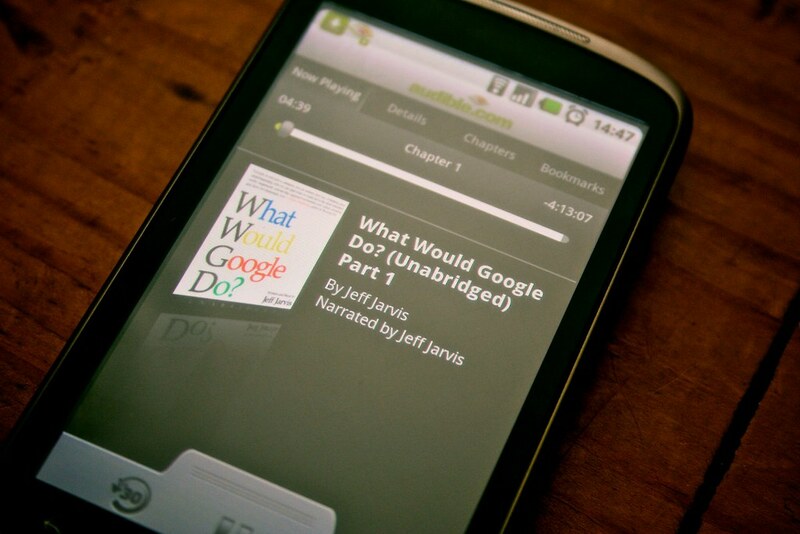 And as it happens with most companies nowadays, Audible has a mobile app. As an avid audiobook listener, I can guarantee that it’s one of the best on the market. And as the app just got an update, the new Audible app feature shares excerpts to social media. People seem to really be enjoying it so far. If you’ve ever read a book and wanted to share a quote from it to social media, this is exactly what this app is for. It allows you to select a maximum of 45 seconds from the book to which you’re listening and work some editing magic on them before you post it on whichever social media platform you want. For now, the new feature is only available for Windows and iOS, but an Android app update will follow soon enough.